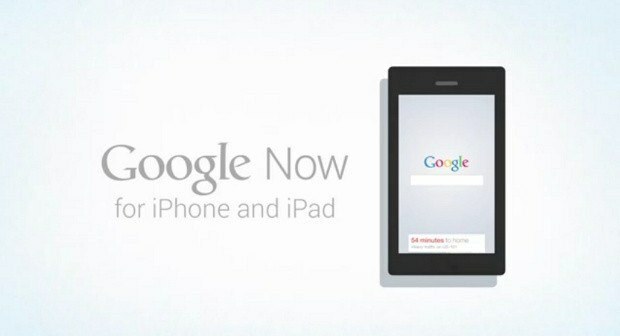 Google Now Not Coming to iPhone After All. Not Yet. Google Now, a Google app that pulls together and aggregates information for users about just about everything – weather, sports, traffic, flight notifications, appointments, entertainment, reservations and more –isn’t coming to iOS just yet. Google “accidentally” leaked a promo video on YouTube for the iOS version of Google Now last week and then quickly pulled it. But not before a lot of people saw it. Google Now is currently an Android-only app, and Google haven’t yet announced exactly when and if the app is coming to iOS. You can watch the original Google Now video below which outlines the features and service that the app offers. Q: When can I get Google Now on my iPhone? A: On your iPhone? You’ll need to discuss that with Apple. Apple has a policy of approving or disapproving apps that are submitted into its store, and some of the apps we make they approve and some of them they don’t. They recently did approve Google Maps, thank goodness. [laughter] And without being too obnoxious, you have excellent vendors of Android choices for you in London, from many different suppliers. Q: So, has Apple got a problem with Google Now? Q: Sorry…Google Now. Capital letter. A: Let me not talk about the specifics. I don’t think they’re particularly worried about Google Now. The war of words between Apple and Google that started following a lengthy delay in the approval process for the Google Maps app looks set to continue over Google Now. There remains no official word from Google on exactly when they will be submitting the app to Apple for approval.